6 hours painstaking work and it's half finished, up to now there's about 500 m of jute twine ! However, I chose leaf suit. 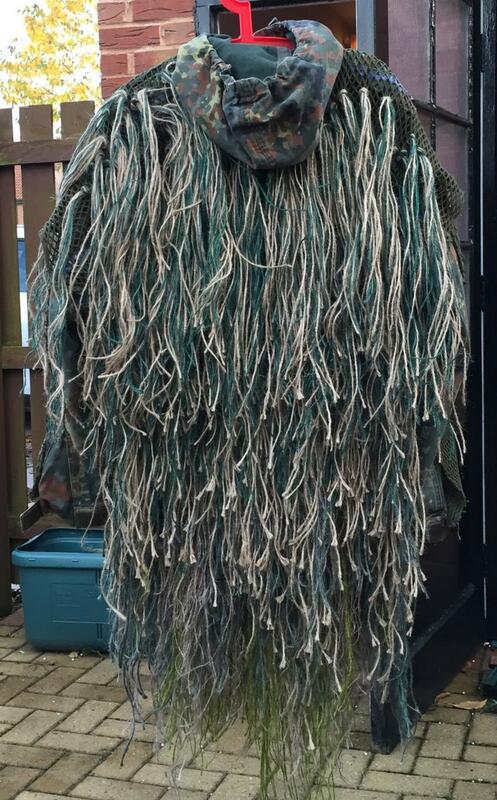 I had a ghillied hat that covered shoulders and back too but it always got caught in the bushes. The leaf suit is awesome though. Extremely light, I love it. I think I'm going to get the leaf suit too for mainly woodland sites ( the one that bodgeups uses ). both my local sites are mainly grassland with grass/bush covered bunkers so the "jute" gillie suit should blend in better than the leaf. All down to the surroundings really isn't it.